"Are you the next OL?" Do you want to put your leadership skills to the test? Well, we want you for the 2019 Orientation Leader staff. 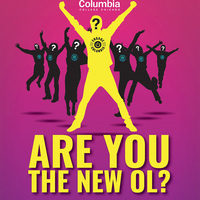 As an Orientation Leader (or OL for short), you will be welcoming incoming students with open arms. You’ll get to know the Columbia faculty and staff and develop lifelong connections that will benefit your college career. And did we mention it's a sweet paying summer job? If you think you’ve got what it takes to become an OL, please come to one of our info sessions to receive an application.